A wonderland that is home to an awe-inspiring variety of more than half-a-millions flowers. And rain humming through the fragrance of my dreams!" And every time I upload photos of the visit at my social media handles, I get requests to pen a piece about the majesty of this wonderland. 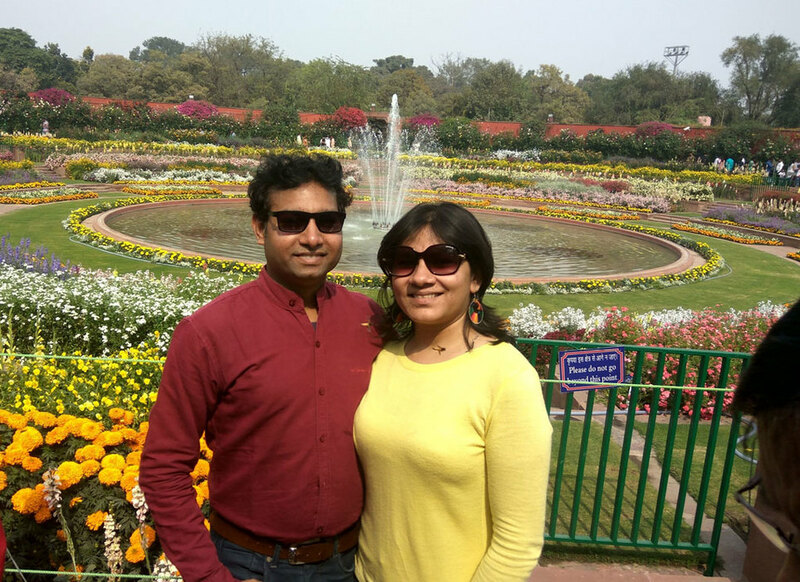 Family, friends as well as other near-and-dear ones have literally pushed me to pen this travelogue since most of them haven't yet got a chance to visit the Mughal Gardens. I am glad that 'The India' gave me a chance to fulfill their wish, in a manner I had always wanted to do..UNINHIBITED, in a poetic way. 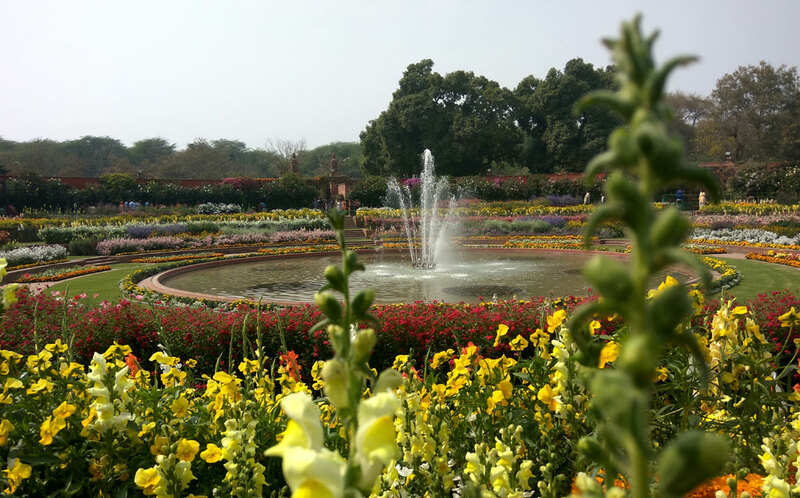 Sprawling over 15 acres, Mughal Gardens were designed by Sir Edwin Lutyens and inspired by the Mughal Gardens of Jammu and Kashmir, the gardens at the Taj Mahal as well as Persian & Indian miniature paintings. 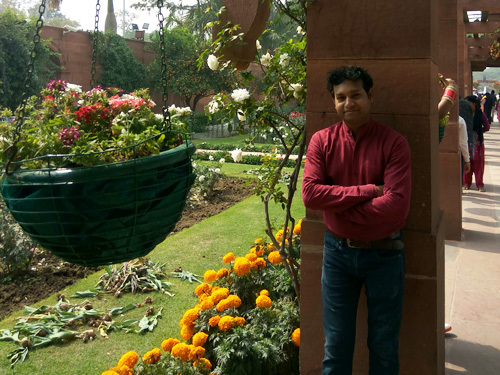 Yes, Mughal Gardens are actually a combination of multiple gardens and not just one! 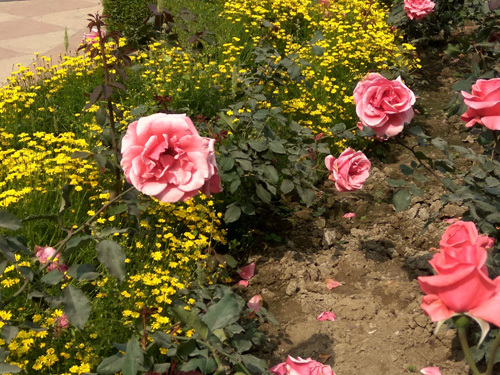 Each garden that forms an integral part of the Mughal Gardens is a standalone beauty! As they say, the beauty lies in the eyes of the beholder! And at the end of this all lies the main Mughal Garden....which never fails to en-captivate me into its magnum, magnetic aura, year after year. 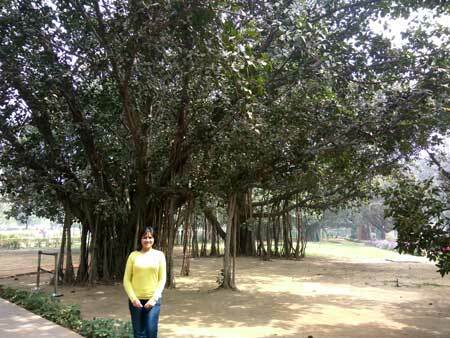 This 15-acre Mughal garden with its symmetrical planting, terraces and water features is the centerpiece. Not shrivel back at any gloom..."
My heart beat with joy, as I hopped around...mesmerised, while my husband collected a few details. And when I inquire more, certain facts leave me stunned! 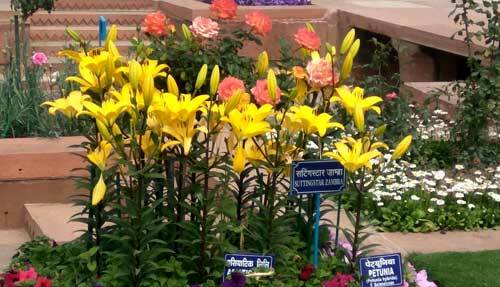 You name a variety of flower in India and you will find it at the Mughal Gardens. A lot of sweat goes into ensuring that these half a million flowers bloom in unison at that perfect time in February when the gates are thrown open for public view. Planting begins in September by some 40 gardeners while some 1560 staff members tend the garden. 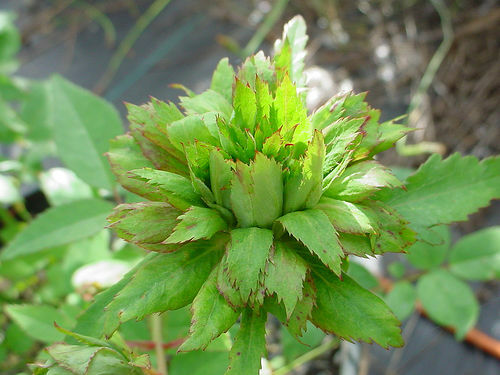 Around 800 gallons of water per acre every three days is required to maintain its verdure even when the flowering season has ended. What an effort! One of the gardener says, that these details are just like the tip of the iceberg. A sprawling spectrum on Earth. Dainty tulips merging in perfect harmony with the rare & exquisite varieties of other flowers at display, including the rare green rose! After the main garden, comes the Terrace Garden which is no longer open to public view. So we moved ahead to the ROSE GARDEN which houses the HANGING GARDEN as well. And if you thought the trip is over, then be ready for eyes and mouth wide open. Just look at this....look at the CIRCULAR GARDEN! 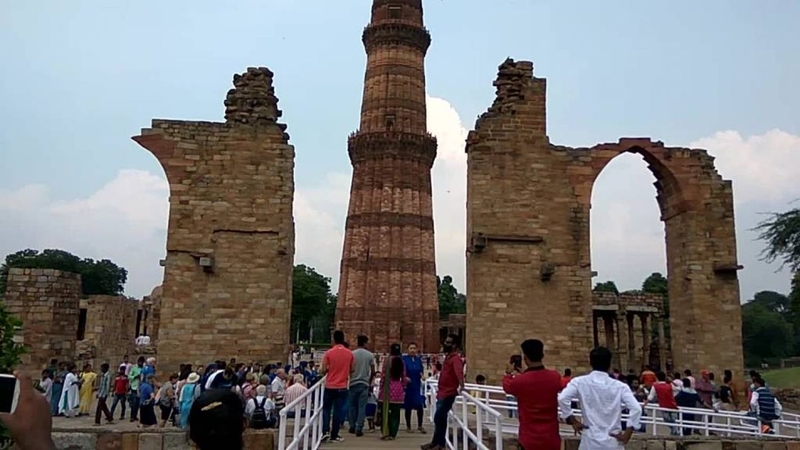 So, I strongly recommend a visit to all of you reading this piece, not because the Mughals Gardens belong to my city, but because these are once-in-a-lifetime opportunity to bask in the glory and enchanting aura of the pride of the nation. Millions of tourists throng this place (during the just-one-month this place is open from February to March). So you must be one of them next time. So let me wrap up by giving you a few tips on how to reach here, what not to carry etc. 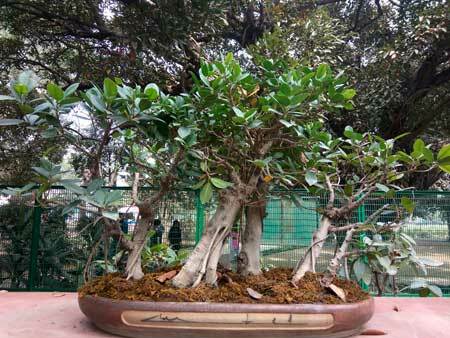 First-- How to reach the Mughal Gardens? Simple. New Delhi is well connected via road, rail and flights. All you need to do is hop onto the Delhi Metro and get down at Central Secretariat Metro Station (if you don't have a vehicle of your own/ auto rickshaw) and it is just a kilometer's walk. The best part is that since 2017, smart phones are being allowed inside the gardens so your camera to can go click-click-click like mine. But no other belongings are allowed inside, not even a water bottle. But yes, water and refreshments are available at the beginning and end of the Mughal Gardens at the entrance and exit gates respectively. 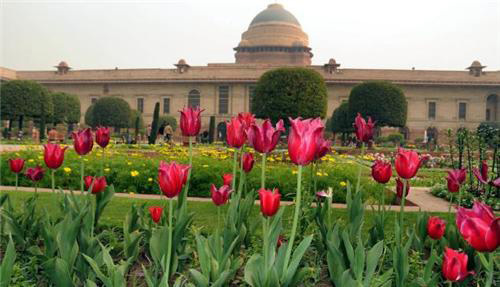 Mughal Gardens remain open from 9AM to 4AM on all days except Mondays for a month during Feb-March on dates decided by the Rashtrapati Bhawan. What you really need to take care of is, that there is a lot of walking to be done inside, so wear comfortable shoes, hop onto a transport that suits you and reach here to soak your sense into an ambience that you won't find elsewhere! Need help to plan your trip? 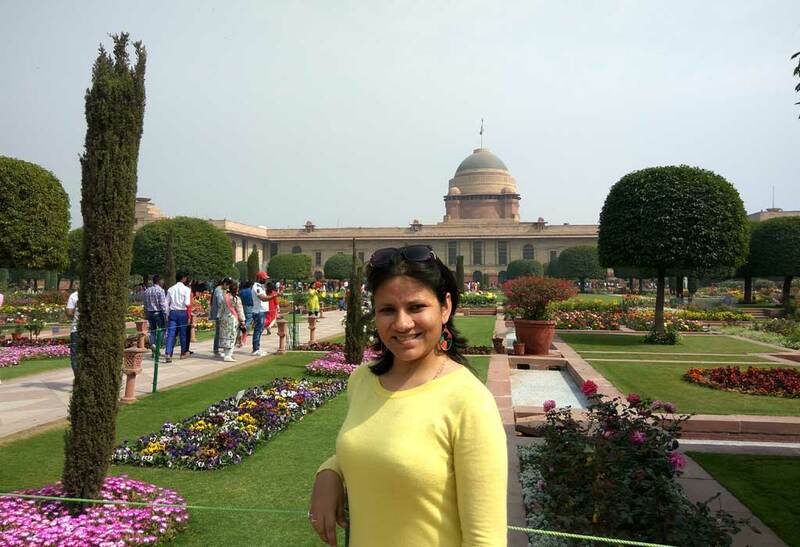 Another great piece of content Mahima, I am yet to visit Delhi (Yes, I admit it) and will surely spend some quality time with flowers at Mughal Garden during my next trip to Delhi. 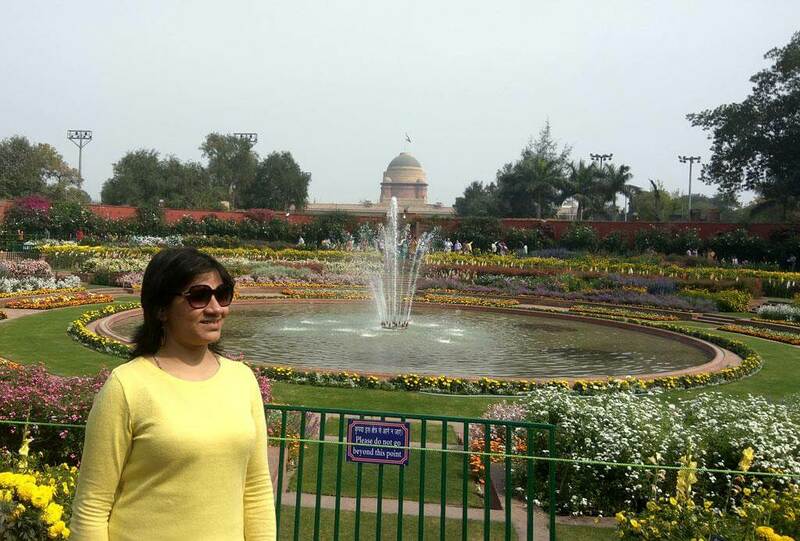 Thank you for providing wonderful information and images of Mughal Garden. 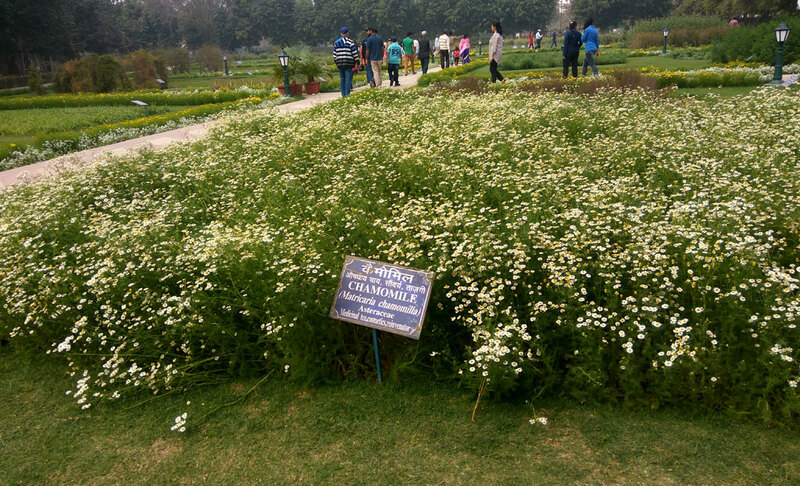 I am not a big fan of flowers but i would love to visit Valley of Flowers and Mughal Garden for sure. Valley of flower is also in my todo list :) Lets plan together some day!